At David Dodge Chrysler Jeep RAM, we offer new 2018 and 2019 Chrysler, Dodge, Jeep, and RAM vehicles, including, the RAM 1500 and 2500, the Chrysler Pacifica and 300, the Dodge Journey, the Jeep Grand Cherokee, Jeep Wrangler, Jeep Renegade, and Jeep Cherokee. We also have pre-owned vehicles of top manufacturers. Our sales staff will help you find that new or used car you have been searching for in the tri-state area. For years, our financial staff at David Dodge Chrysler Jeep RAM has offered expert advice for those seeking a great deal on either a new car loan or lease. Our service doesn’t stop there. Designed to sell 300 Dodge, Chrysler, Jeep, & RAM cars a month, our showroom comfortably sits up to 20 sales consultants surrounded by 9 TV’s displaying something for everyone. Our service lounge and cafe is designed to make your stay comfortable and relaxing while your car is being serviced by our Chrysler certified trained technicians. While waiting, visit our parts department with over 1.5 million accessory options available. 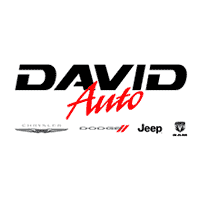 You can reach David Dodge Chrysler Jeep RAM any time by filling out our contact form, by calling us or simply visiting our location at 1801 Wilmington Pike Route 202 in Glen Mills, PA.
David took a job as a car salesman at a Philadelphia Dodge dealership. There he worked his way quickly up the ranks, moving from salesman to sales manager, sales manager to finance manager, and finally finance manager to general sales manager. Learning all of the facets of the automobile business in this way helped David understand what it took to run a successful car dealership. David yearned to open a place of his own where he could take these lessons and add his own new ideas to create a unique buying experience for his customers. 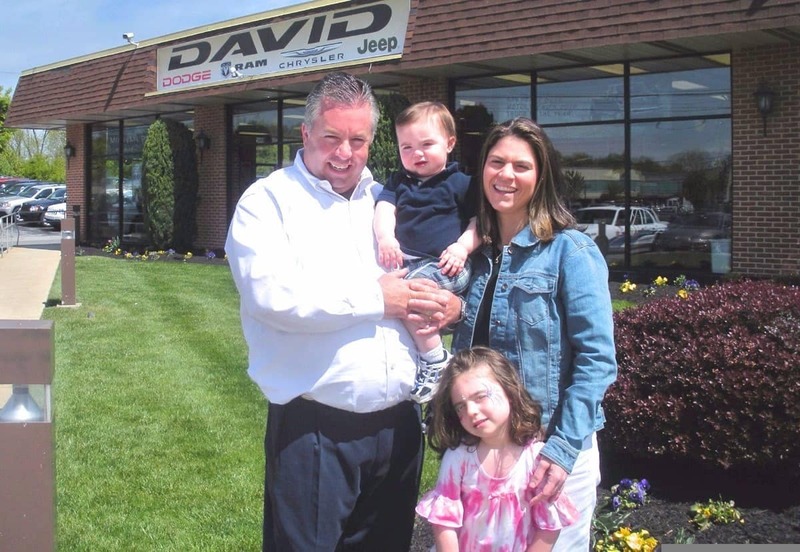 In 2005 that dream came true when David and his wife Marlo opened up their first car dealership in Glen Mills, PA, appropriately named David Dodge. The timing became even more significant because as Dave and Marlo began this new chapter in their life they also welcomed their first child, Kennedy Kelleher. It was a new birth for David Dodge and for the Kelleher family. Thus was born a new car-buying experience that our customers like to call ‘The David Difference’ – the attention to detail and customer service that sets us apart from every other dealership. The team at David prides itself on building relationships with our customers. In January of 2009 David and Marlo were blessed with Samuel, the newest addition to the Kelleher family. David expanded his store in 2010 with the Chrysler and Jeep franchises. The store has earned some of the highest awards in the Chrysler organization and the automotive industry and continues to be one of the top dealerships in the Mid-Atlantic. The Kellehers reside in Delaware County where they can be close to the dealership.